GET A $50 E-GIFT CERTIFICATE FOR WWW.WORLDWEIDNER.COM AS A FREE GIFT! 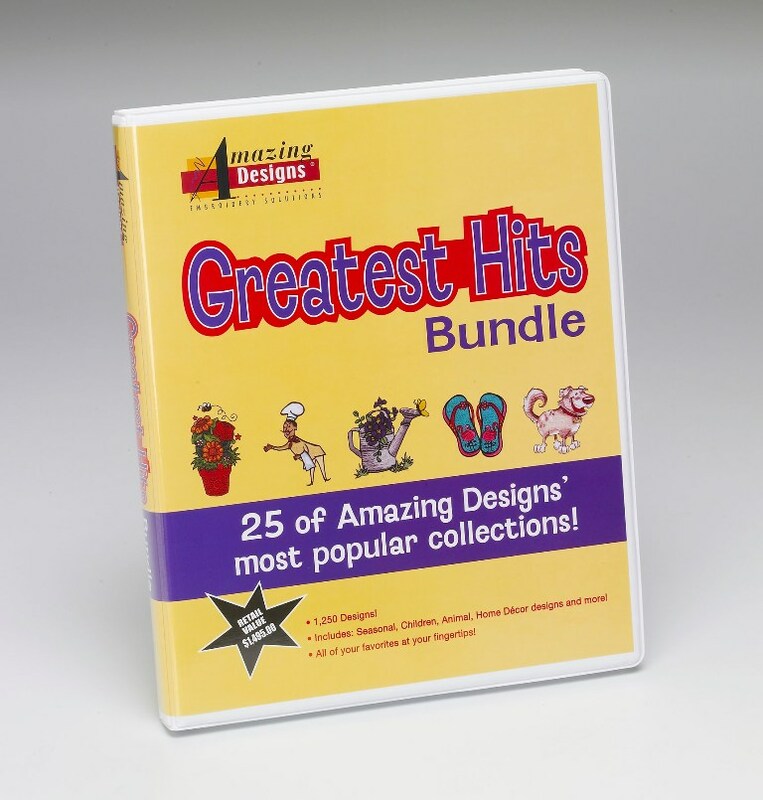 With the Greatest Hits Bundle, you can get 25 of Amazing Designs most popular embroidery design collections at one Amazing Price! Sold separately these collections would cost $1,495.00. *Sew and sell licensing limited to 50 stitched units for premium collections.